I have no 5 step plan. I have no guarantees. But in the hopes that it will be useful to others- these were some of my first, memorable, steps into the land of not hating myself. Maybe something will work for you. I do want to say – I’m still on the journey. I am more likely to roll my eyes at weight loss ads and I am usually pretty laser-eyed at spotting the subtle body-shaming that is everywhere in our society. But there are days when it feels like being thin would solve all my problems, when that new diet idea seems like maybe it would work, when it seems like the perks of thinness would be worth all the costs. Those days are rarer all the time, but they happen, and that’s ok.
Our culture is designed to make us desire thinness, it makes life easier for thin people. We are not likely to entirely escape its well-financed pull. 1. I intentionally spent time in body-positive online spaces. For me that was “fatshionista” back in the glory-days of LiveJournal. As a fashion blog, there were many pictures every day of large humans, mostly women, looking fabulous. I was able to see the beauty in other people first. It was an important step. 3. I started posting pictures. “Dear world. Here is me!! !” I was in a supportive community, so I got a lot of supportive feedback. The more I posted. The more confidence I gained. I no longer take the effort to set up cameras and timers to get full-length shots, but I’m a big fan of the feministselfie, “unflattering faces” included. 4. I dated a few different guys during the early years of learning to love my body (that’s not the tip)- – I slowly learned to be intentional at believing when they told me they found such and such about me attractive and not brushing it off or making some weird comment about myself in reply. I would say “thank you” sincerely. As much as my feminist side wishes it wasn’t this specifically male-gaze that was one of my influential steps, it is what it is. I’ll critique it – but it was still there. So – whoever is saying nice things about you in your life: choose to believe them. 5. I did a lot of standing in front of the mirror in various states of dress. I didn’t really “compliment” myself or find things I loved – I just got used to me. I just saw me. Years later, I’ll sometimes catch an unintended glance of myself in the mirror and think, “beautiful!” in that split second before I realize it’s me, and I just kind of laugh joyously. 6. I stopped wearing clothes that I didn’t like the look or fit of. Mine is not a body built for off-the-rack empire waists and button-closure shirts. I look FABULOUS in wrap-shirts, but they’re not really my day-to-day style, feel too formal for me. My style has shifted and changed various times over the years, but unless it’s something I HAVE To have – I just don’t buy anything that I don’t love. When I wear clothes, I like them for either their comfort or their style. I wear things that make me feel good. 7. I didn’t really tell people for a while, I want to say years. This is my personality type. I figure things out in my head, and then I tell people. I had a couple friends who knew I was trying. I had my online support community. But for the most part I stayed quiet about it with friends and family. I was battling some strong foes inside my own head trying to prove that I deserved dignity, I did not yet have the strength to be the go-to “fat and happy” person in my everyday community. 8. I started calling myself “fat” in a neutral tone. Not “plus size” or “curvy” or “fluffy” or whatever other euphemism there is. Just fat. I know others prefer euphemisms for their own body-positive reasons. Do what works for you. Find a word that is empowering and liberating. Find a word that tells yourself, and maybe others, that you are ok with you. Use that one, even if you don’t quite believe it yet but want to. If you’ve started this journey as well, I’d love to hear what’s worked for you – even if it’s been those infamous steps forward and backward. Found this helpful? Please Pin and share! ← Chicago was spring, Philadelphia autumn. EXCELLENT. I love the joy coming from your eyes in that pic. And the skirt is GREAT! Thank you, Fayelle! I was having such a fun day that day! Good start, talented lady, good writer, I’ve followed your blog for awhile. Our humanity – maybe even our genes have changed /reset in the past 100 years. You are who you are , enjoy. (that’s what we all should do, mostly it’s what I do and I’m only held back some by – what others incorrectly think-) I don’t know where they found the incorrect information..
Here’s a story I heard: a buddy and his friend were out in the wild – drank or ate something tainted. I think they fixed it with Scotch, when the hangover was gone – so was the bug. — if that is a fact— – then- some of our good bacteria probably was destroyed in the past 40 years. by — too much alcohol or “some pill we took” to fix something else, but left us unbalanced. My best friend is about 200 plus lbs. not tall.. He’s not fat to me, He’s intelligent, talented and devoted to life. The effort he puts in daily – If I could keep up with him, I’d be the most toned man on the planet. Thanks for the comment, Lee. Our bodies are definitely still a mystery – even with all our science and such. I used to want to own a farm, but I do NOT have a green thumb, now I just want local friends who own farms! I’ve read your posts and wondered the same thing. I hate myself. I can’t look In a mirror. I can barely stand catching a glimpse of myself in a blurry window reflection. I am repulsed by myself. But I am starting to acknowledge there’s more to my strong negative reactions than just my size. I’m not sure where this line of thinking is going to take me. A trusted person in my life recently told me he knew I had no appreciation or even recognition of my femininity. He thought perhaps that might be a why behind my size. He didn’t meant anything negative by that. He said it was more impt that I appreciate who I am than change my size. But the question definitely lingers… For me is my size a defensive strategy. 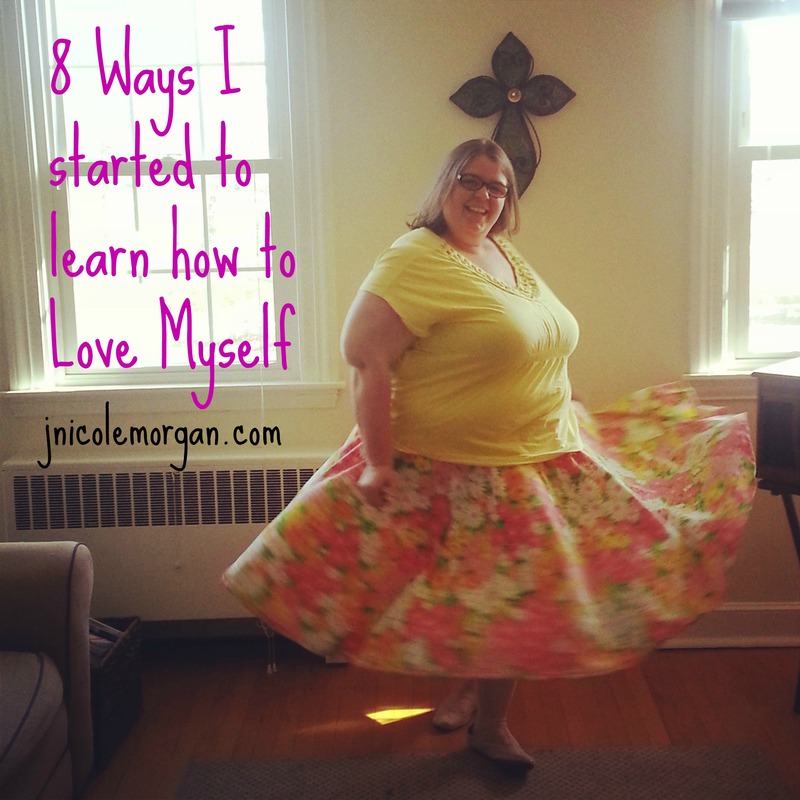 If it is I wonder if it would be possible to love myself at any size. Thank you for taking the time to leave me a comment. It’s so hard to be in the place where you can’t imagine loving yourself. I think for some people, there are many more things at play than just body size. Definitely worth taking the time to investigate. Praying that you are able to find some steps to healing and wholeness in all the areas of your life. I grew up chubby and got bigger. I always thought if I lost weight then I’d be perfect and men would chase me and love me. I lost about 80 lbs. and went from an 18 to an 8. And nothing changed. I do feel better about my body. But I don’t like MYSELF any more than I did before, and men don’t seem to either. Hello – I just realized I never replied to this! I”m so sorry for you my delay in responding to you. It’s such a revelation when you realize that you are you no matter what size. Thank you for reading and sharing. So glad you’re on this shame-blasting, body-loving journey too! God is indeed good! I pray that these small changes start to snowball and you see the wonderfully made creation you are – size and everything else! I love these! Thanks for your vulnerability, for the sake of all of us on the journey to self-acceptance and self-love, and also those who want to support us but don’t know how.